The Sweet Bookshelf: Discussion: What Book Would You Choose to Experience for the First Time Again? Discussion: What Book Would You Choose to Experience for the First Time Again? I'm a re-reader. I talk about it all the time. I really enjoy once or twice a year to get stuck back into some of my favorite books. Sometimes I even re-read a book over the minute I finish it to try and hold on to its magic for just a little bit longer. I don't think there could be any greater compliment to an author than to re-read their book over and over. But, re-reading isn't the same as that first experience. You don't know the story and the characters and you're just wondering what will happen! There are several books I wish I could go back in time and read it for the first time. What book would you choose to experience for the first time again? You know, it was just that awesome that no matter how many times you re-read it you can't quite replicate those feelings from the first time you experienced it. I've got a few to share and then I want to know yours. Wow, wow, wow. I will never get tired of talking about this book. If you still haven't picked it up--even after I won't stop talking about it--then now is the time. Sarah is my all time favorite heroine. She is so strong and upon finishing the series I felt like I had gained a friend. The descriptions are beautiful and there is a lot of action in this book. There are also a lot of tears. I cried so hard I was wailing. I had to call my sister for comfort. She answered the phone to hear me crying and she said,"You finished it, didn't you?" Yes I did. What an amazing story! Sheer brilliance. 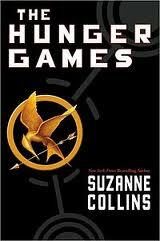 I don't think any book has made me hold my breath like The Hunger Games. I've re-read it more than 10 times and although each time I learn something new and enjoy it, it won't ever hold the excitement that the first time read did. I'd love to go back in time and enjoy it for the first time! There I said it! I really did like Twilight. I think it's funny the people who say they didn't like it, yet they read the whole series. If I didn't enjoy a book I sure as heck wouldn't be reading the whole dang series! I really enjoyed the love story. It woke up something inside me. I couldn't get enough! No matter how many times I've read it, it won't ever feel like that first time. What a unique and interesting story with an epic love to stand the test of time. This series is like Harry Potter meets Narnia! Holy rusted metal batman it is awesome!! It's Middle grade, and if you aren't reading MG then you are missing out. There is so much action and fun in these books. I love the characters and I've not read anything like it before or since. Do you like faeries? How about dragon's? Mythical creatures? Well, then this is for you! 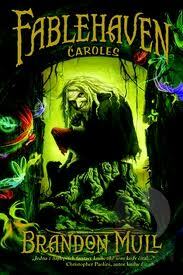 I was 12 yrs old and my sister Katie was in love with these books. I felt left out. What was so great about them anyway? I admired her for reading all the time and I wanted to be like that too. So, I borrowed them from the library because my sister wouldn't let me touch her set. I read them with my best friend Jessica and they were perfection. It has always been a dream of mine to visit Prince Edward Island. Who wouldn't wanna go there?! And maybe Gilbert Blythe will be there waiting. Holy good books! I finished City of Bones in one day. About midnight. I was so eager for the next book, but it was midnight, where would I get the next book at this hour. AMAZON! I grabbed my iPod, downloaded the Kindle app and grabbed the next 2 books. All while still laying in bed. I then went on to finish City of Ashes before the sun came up. I slept a few hours and then read City of Glass by afternoon. 3 books in 48 hours. I was so hooked!!! I'd do anything to go back and be able to read it with fresh eyes like that first time. I couldn't get enough!! What books would you like to go back in time and read for the first time! Sloppy Firsts! I wish I could meet Jessica Darling for the first time again! Oh I definitely agree with Twilight - I've reread it so many times and I'd love to go back to the first read again! "Jane Eyre," "The Outlander" and "Twilight." And while were on the subject, I wish I could watch season one the TV show "Vampire Diaries" for the first time, and the A&E version of "Pride and Prejudice." I should re-read the Twilight books! LOL! @memybooksandi Holla for Twilight!! I'm not ashamed to say I liked it. I loved it, and so did everyone else until someone said it wasn't cool anymore. Ha! @Ophelia London I SO wish I could go back in time and watch North & South again! I totally got the hots for Richard Armitage! LOVE that mini series! @Jac Sometimes I don't think there is time to re-read, but then I remember that I read for me. For fun! I love to re-visit my favorite characters and make sure they are doing well. I want to re-read some Sophie Kinsella this month. I love her! She's hilarious! 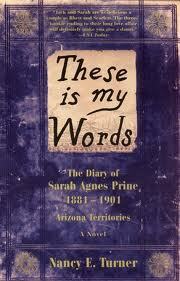 @whispering words I read my first Maria Snyder this yr! Touch of Power was amazing! I'm going to check out her other books. My Sweet Audrina by VC Andrews. I've read it quite a few times but it's so twisted, crazy and creepy and I don't feel those same feelings when I re-read it. I'm not a re-reader at all, but I've been thinking lately that I wouldn't mind re-reading some books I've loved, but have forgotten the details - like lots of Stephen King books which I read many years ago. Flat-Out Love by Jessica Park. This book hasn't gotten a lot of attention, but I read a glowing review of it a few weeks ago, so I decided to give it a try. Was SO glad that I did. It quickly moved to the top of my favorites list. Will definitely re-read this book again in the near future, but it will never be quite the same as that first time! Oh to meet Julie, Matt, Celeste, and Finn for the first time again! The Next Door Boys by Jolene Perry. I always rave about it.. but I loved it and I have like a connection with it!! I LOVE re-reading books. I haven't had a chance to re-read any of my favorites in a few months though but I need to. I love Twilight and it annoys the crap out of me when people say "Well, I like Twilight, but..." No buts! If you like it, you like it. You don't have to defend yourself if you like something! Be proud! I wish I could re-read the Poison Study series by Maria V. Snyder. I love that series so much. Gabriel's Inferno by Sylvain Reynard is another personal fave that I wish I could re-read for the first time.